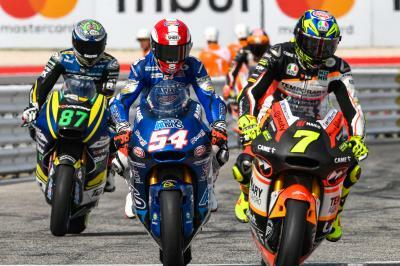 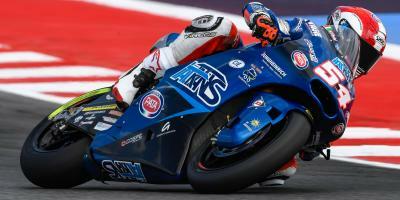 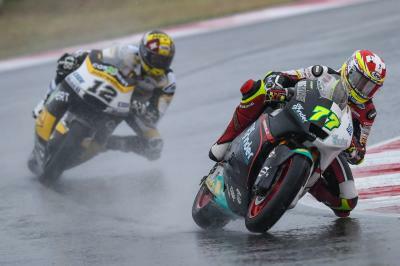 Last year's winner Lorenzo Baldassarri (Forward Racing Team) headed Warm Up for Moto2™ at Misano, with rain in the air and a very wet track. 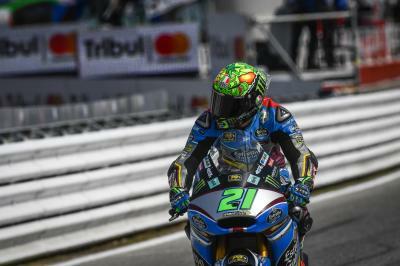 He was just ahead of a stunning performance from Joe Roberts (AGR Team), with Luca Marini (Forward Racing Team) just bumped down to third at the end. 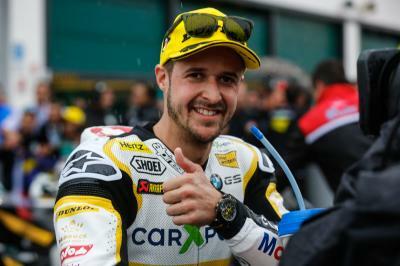 Crashers included title challenger Tom Lüthi (CarXpert Interwetten), Jorge Navarro (Federal Oil Gresini Moto2), Simone Corsi (Speed Up Racing), Xavi Vierge (Tech 3 Racing), Alex De Angelis (Dynavolt Intact GP) and Remy Gardner (Tech 3 Racing). 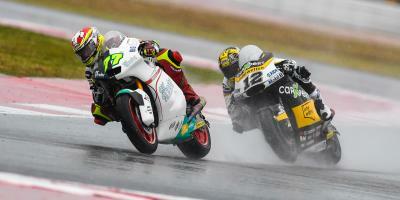 The complete Warm Up session for the Moto2™ World Championship at the #SanMarinoGP.